The precision alloys of Isabellenhütte are among the highest quality on the market and unfurl their extraordinary forces in many areas of electronics and electrical engineering. In production, we consistently respond to individual customer needs and supply various forms and designs depending on the requirements. The precision alloys of Isabellenhütte are processed in almost all sectors. However, they are mainly used in the automotive and aviation industries, petrochemistry, analytics, process and railway technology as well as control, measurement and regulation technology. Our precision alloys are manufactured while complying with the strictest tolerances and while taking into consideration all national and international standards. This results in an exceptionally high level of quality. 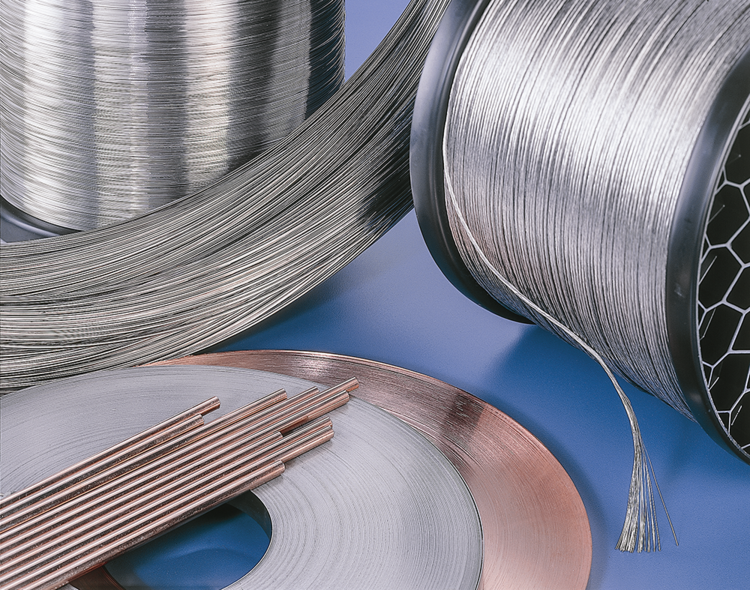 We also take individual customer requirements into account - whether soft-annealed wires with bare or insulated surfaces, painted wires, soft-annealed strips or strands with a standardized as well as customer-specific design. You determine the form of delivery!